This is the 14th of 68 Avebury photos. 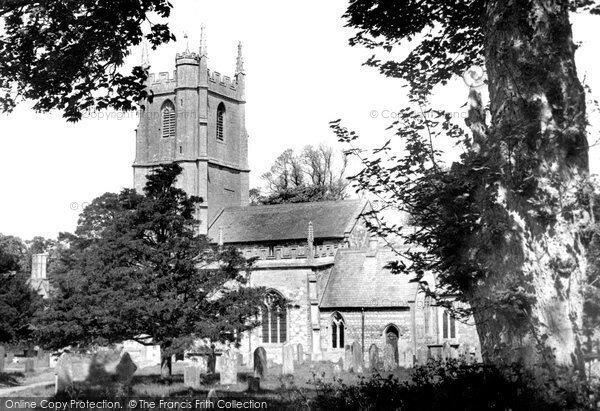 Caption for Avebury, St James' Church c1955: The cylindrical Norman font is stunning: it has intersected arches, big scrolls and two big serpents with twisted tails, their heads looking at a saintly bishop, who is wearing a typical Norman pleated cassock and holding a crozier. The lower parts of the excellent Perpendicular rood screen and lofts were largely restored in the 1900s. Parts of the stalls are 17th-century, but few survived the Reformation. The Manor nearby was built on the site of a small Benedictine foundation of the early 12th century, dissolved in 1414. 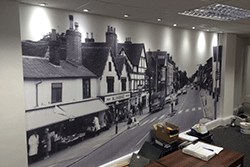 Fragments of it were used in the construction of the house, which was built in 1557 and enlarged in 1600. Another manor house, Trusloe, is connected to the churchyard by a footbridge across a stone bridge. 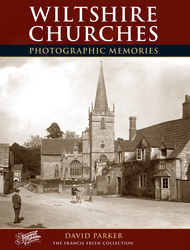 An extract from Wiltshire Churches Photographic Memories. Buy "Avebury, St James' Church c.1955" Available as a print, mounted, framed, or on canvas.